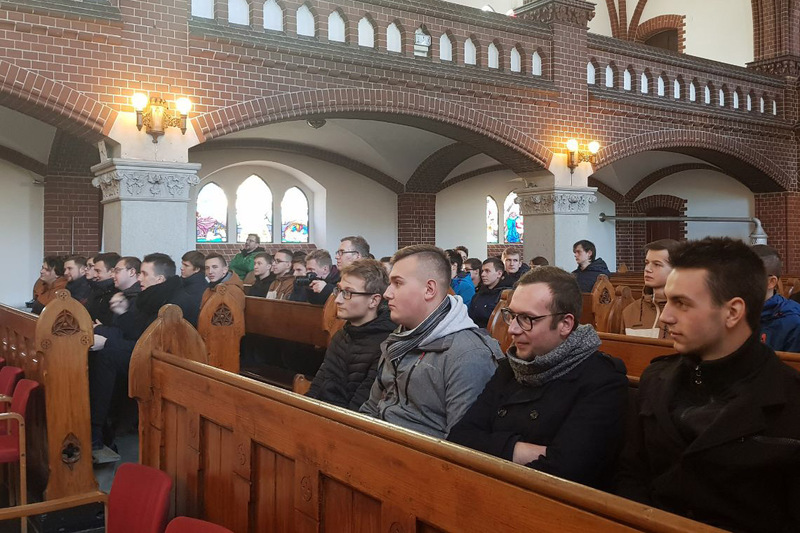 (Bardo, Poland) In the second weekend of December 2018, the Postulants gathering took place in Bardo. Altogether thirty young boys from Małopolska, Silesia, and Szczecinek participated. Fr. 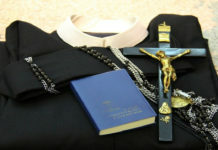 Szczepan Hebda, C.Ss.R., a priest from Torun, was the guide during these days and the main theme was: Mary, a special person for us Redemptorists. The theme could not be better because this weekend the solemnity of the Immaculate Conception was celebrated on December 8, which is the patron of our Congregation for us Redemptorists. During the conferences and homilies, Father Szczepan spoke widely about the relationship between man and woman and showed us a special relationship with Mary, our Mother, and Protector. He also shared with us his experience of loving the Mother of God. 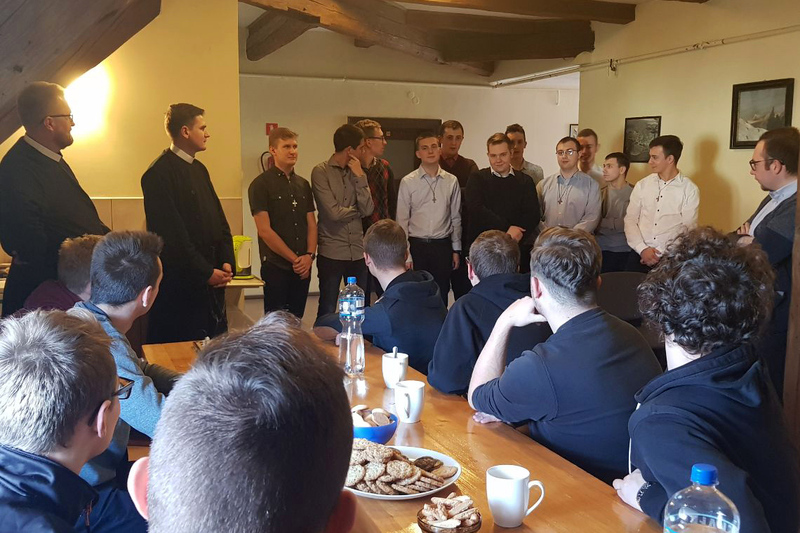 In these days there were not only conferences and meetings, but also there were moments to talk to the postulants and brothers. On Saturday after dinner, all of them visited Paczków, where the Redemptorists work. There was Father Stanislaw Madej CSsR who showed us the church, the house, the surroundings and narrated the history of the Redemptorists in Paczkow and Silesia Terra. On the way back to Bardo, the postulants visited the place where there was Redemptorist Juvenate before the war. In addition to these exposures, on Sunday, the postulants shared individually about their programmes in the formation and what they do. 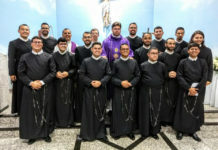 It is interesting to know that each of them is involved in pastoral care, some taking care of the elderly, some are involved with young people and many more. The work they do and their stories have been accompanied by the photographs. We ended the get together with the Holy Eucharist in the Basilica and after lunch, we returned to our Community. We are grateful and thankful to Father Stephen for these lovely moments and above all for a warm welcome. We also thank the confreres from Paczków. Fr. Witold Baran, C.Ss.R., and Fr. Artur Pruś, C.Ss.R.